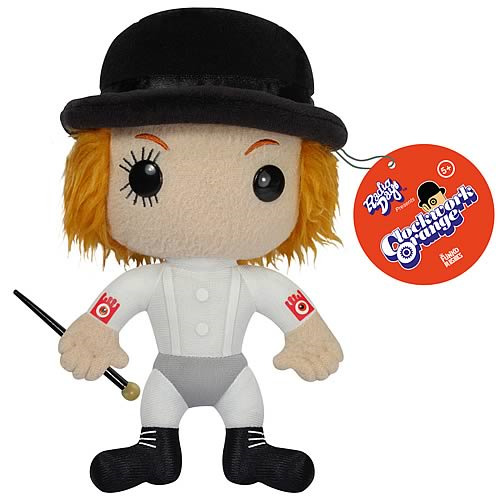 Shopping for Clockwork Orange Plush? Bring home a cuddly piece of Stanley Kubrick's dark science fiction classic! Plush version of Alex, as portrayed by Malcolm McDowell in the film. All of the style, none of the social commentary! Bring home a cuddly piece of director Stanley Kubrick's dark science fiction classic, with this Clockwork Orange Plush! Standing approximately 7-inches tall, it's based on the lead character of Alex, portrayed by actor Malcolm McDowell in the 1971 film. Order yours today!